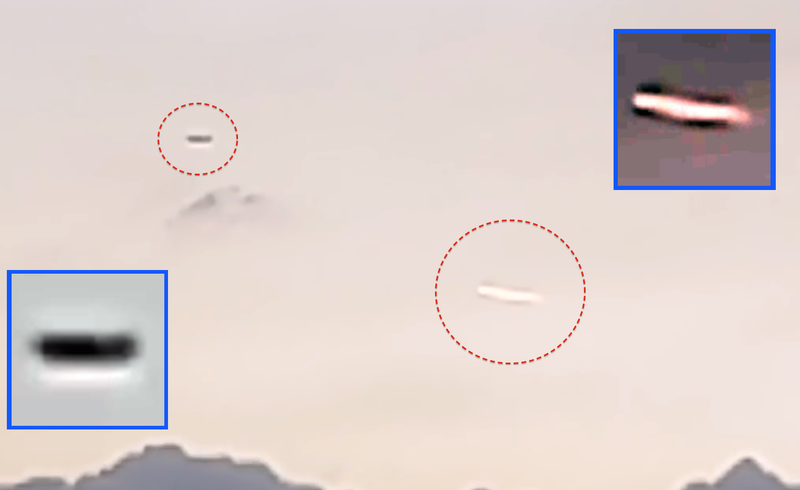 UFO SIGHTINGS DAILY: Two UFOs Seen Over Mexico Pyramids On Oct 10, 2015, Video, UFO Sighting News. Two UFOs Seen Over Mexico Pyramids On Oct 10, 2015, Video, UFO Sighting News. This is a really short video, but it does show us the movement of the UFOs and their appearance so I can't complain. It also looks like the Tenayuca Pyramid is in the background on the bottom right.